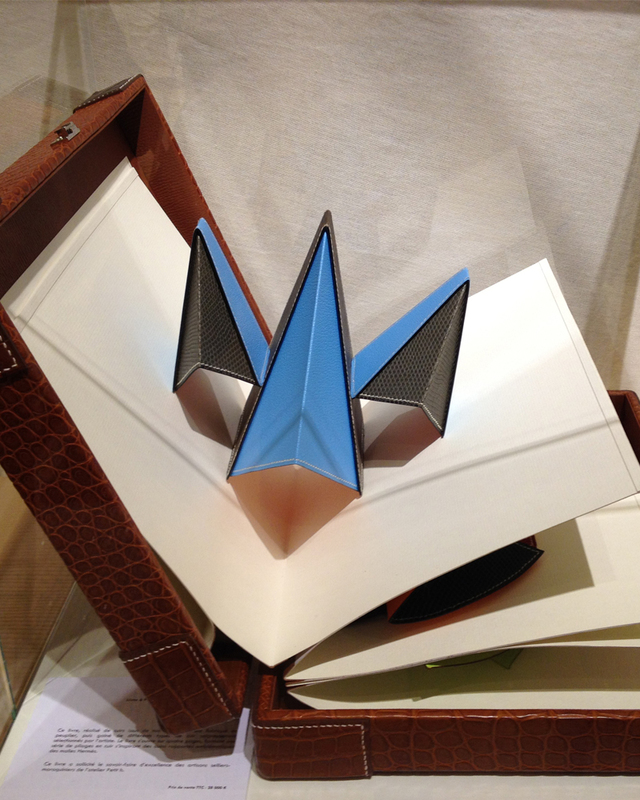 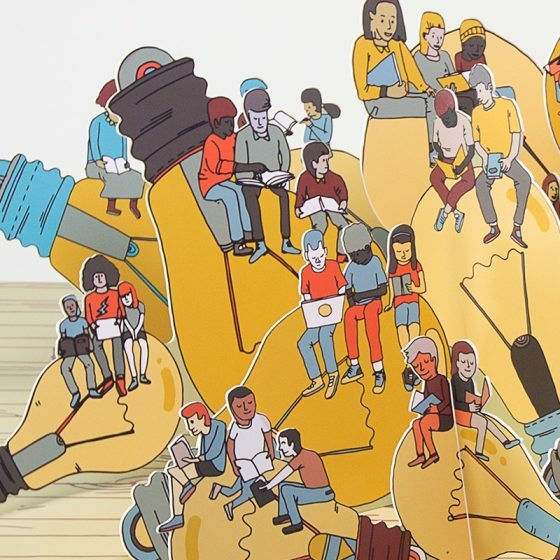 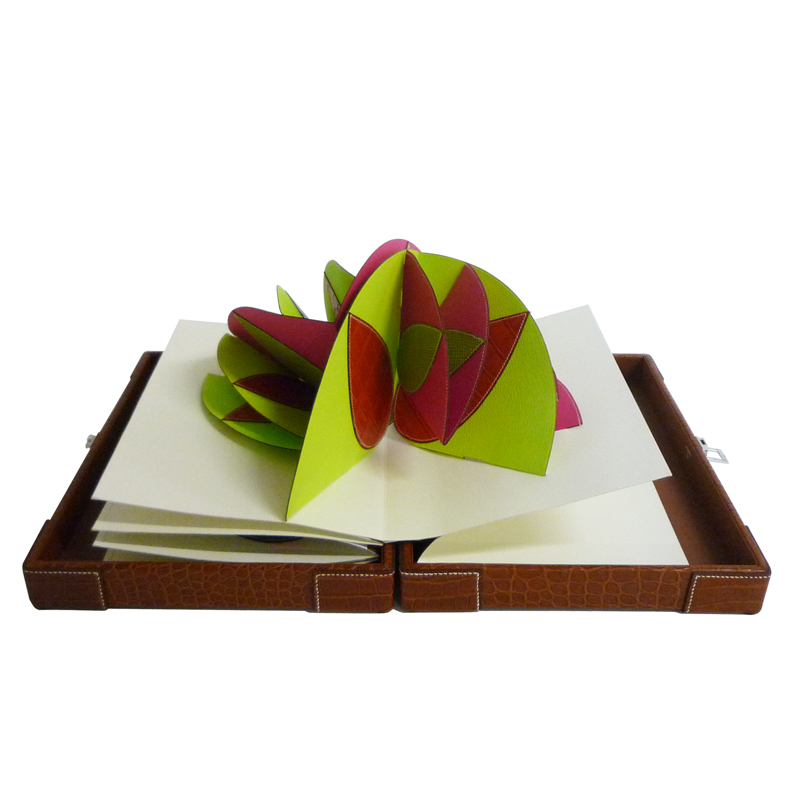 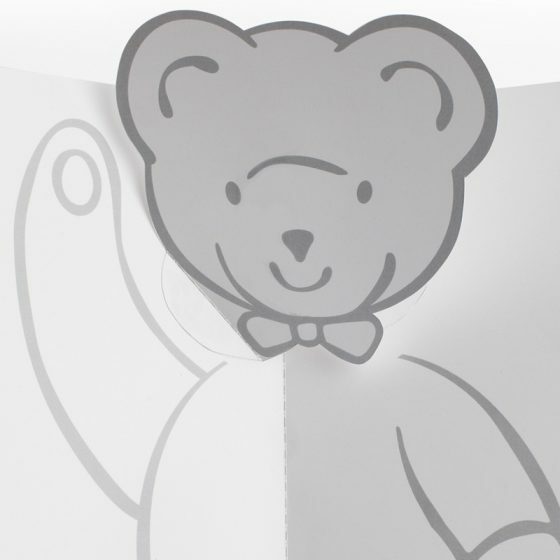 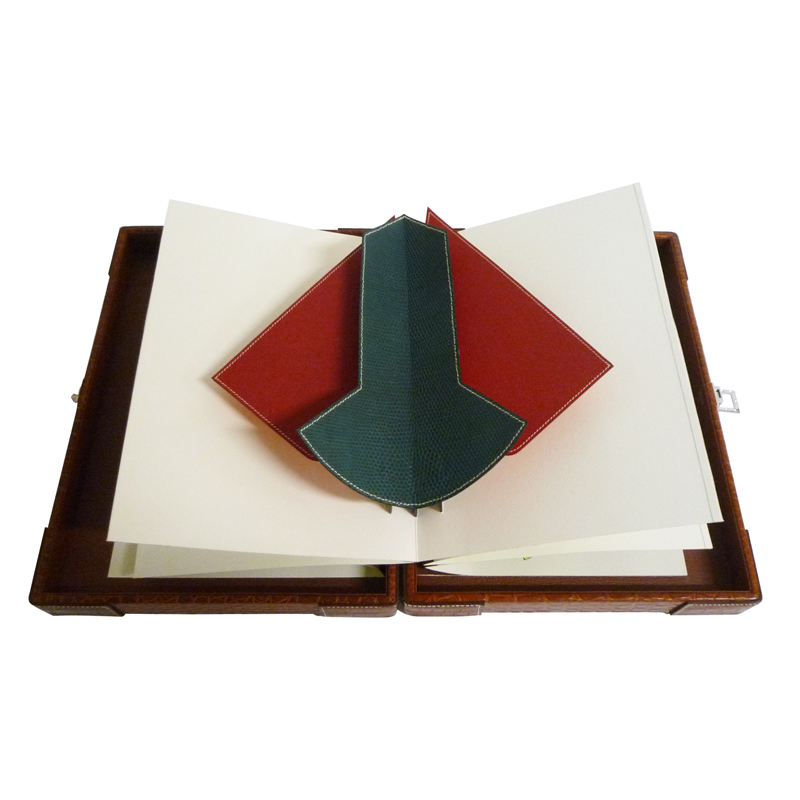 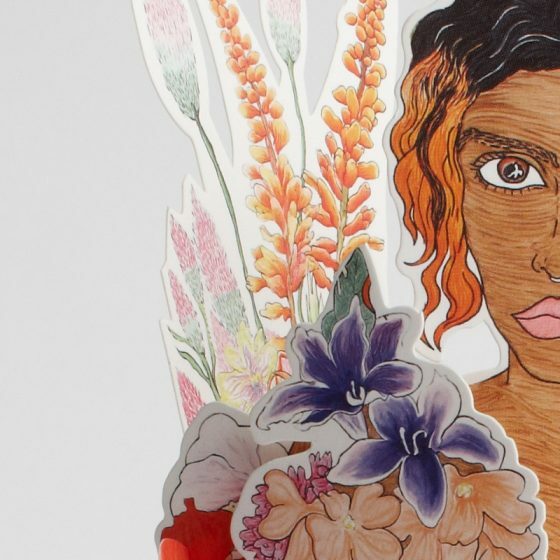 I was encouraged by the team to collaborate on a pop-up book in leather – no mean feat! 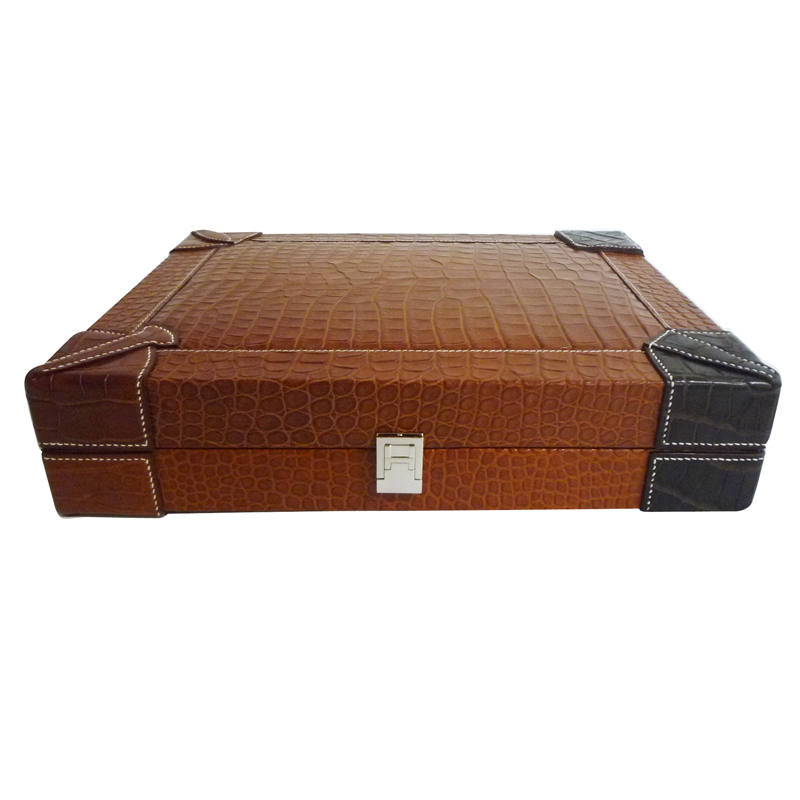 Through archive research I took for my inspiration the distinctive corners on Hermès luggage. 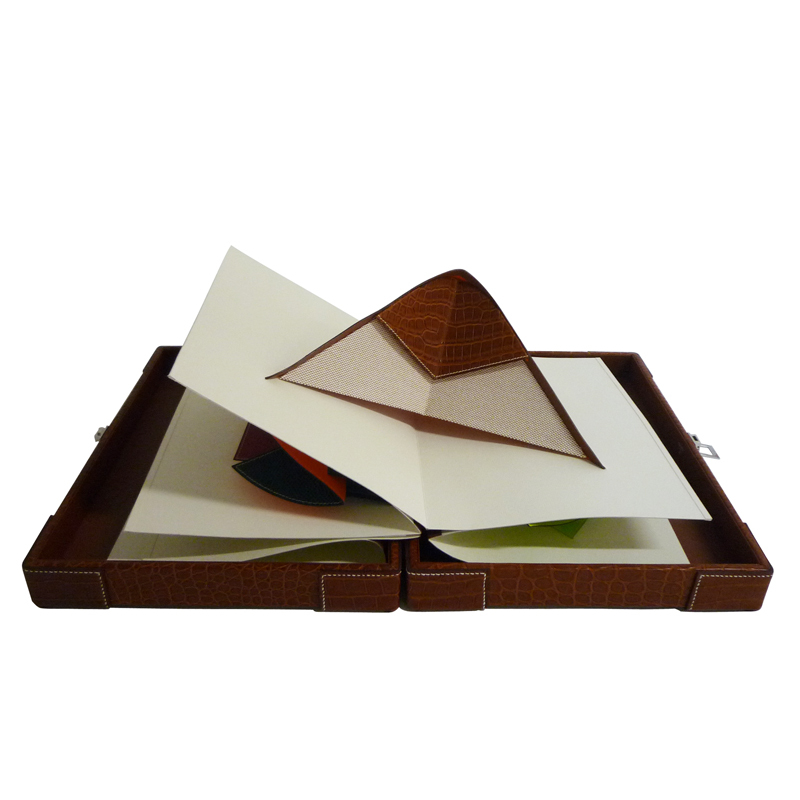 I was intrigued by the way the craftsmen fold and stitch the leather for strength and durability which produced these bold and highly graphic shapes. 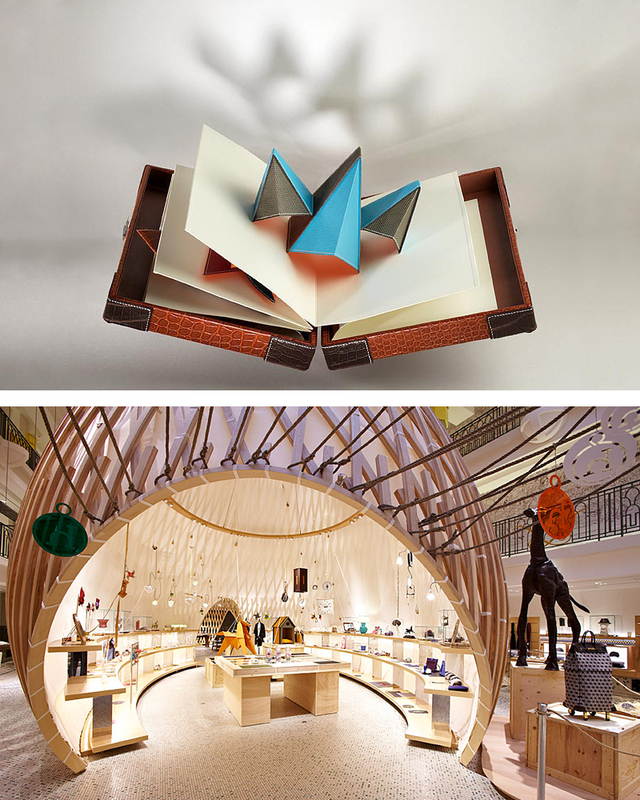 I firstly engineered four pop-ups in paper which were then translated into leather and assembled by talented artisan Jonathon – he did such a superb job on what was a challenging venture.